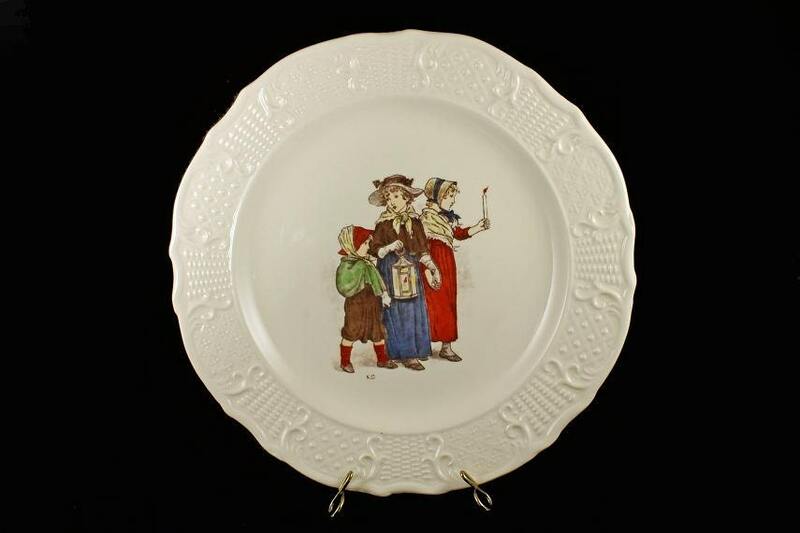 This is a lovely decorative plate from the Atlas China Company, New York. 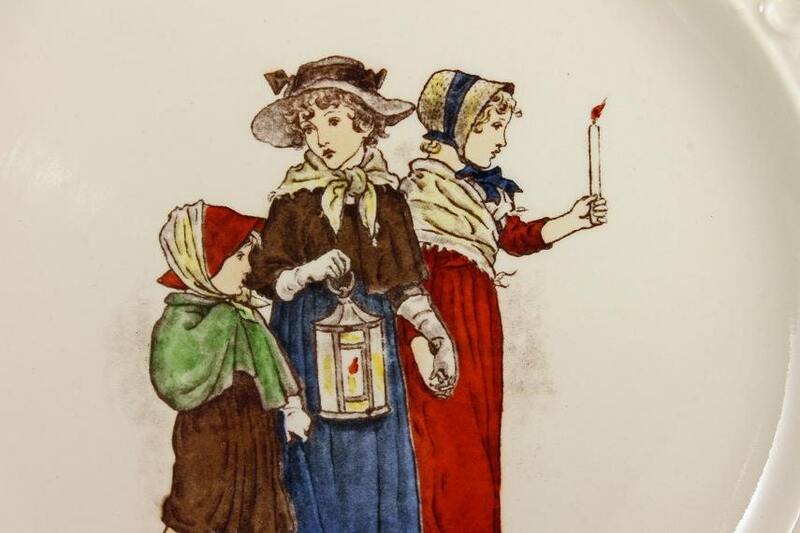 It is from the limited edition series by the artist Kate Greenaway. 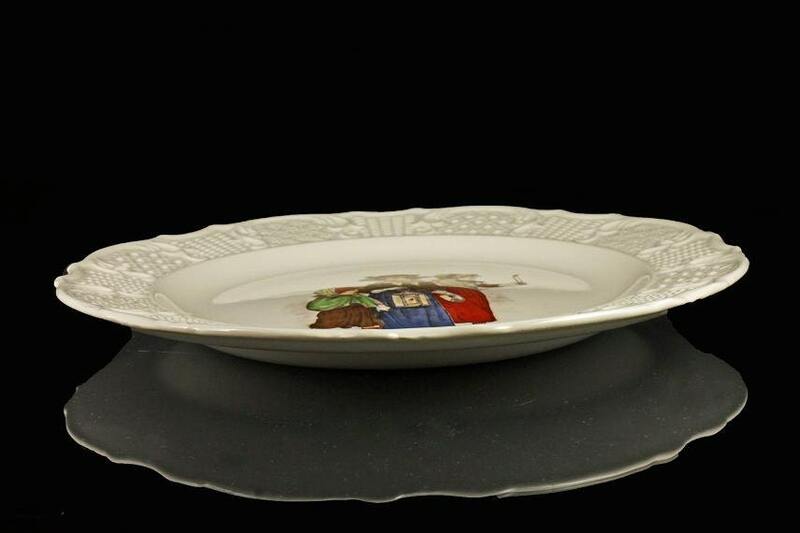 The plate is a light cream color, art in the center, and a highly decorative embossed rim. 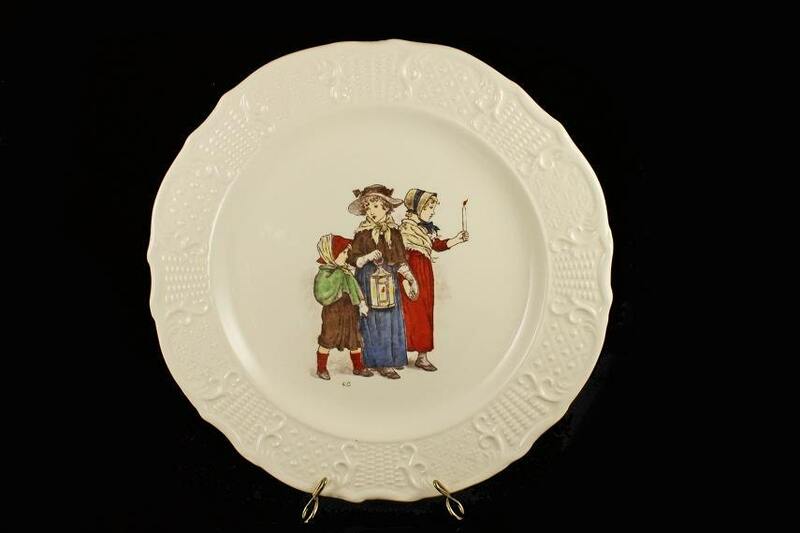 This series of plates are from 1972 were based on the months of the year. This one is for November. Kate Greenaway (Catherine Greenaway) was a19th-century English children's book illustrator and writer. She had a particular fondness for rhyme which appealed to children. Settings and storylines were generally pleasant, with a focus on nature. Happy children were depicted with flowers, birds, and animals. The children in Greenaway's stories and artwork were happy, loved, and without a care in the world. In her honor, The Kate Greenaway Medal is awarded for excellence in the field of English children’s illustration since 1955. This plate would make a great wedding shower, wedding, hostess, or housewarming gift. Great addition for kitchen, dining, or nursery decor. This is a vintage plate and it is in great condition. There are no chips, cracks, mars, or crazing. 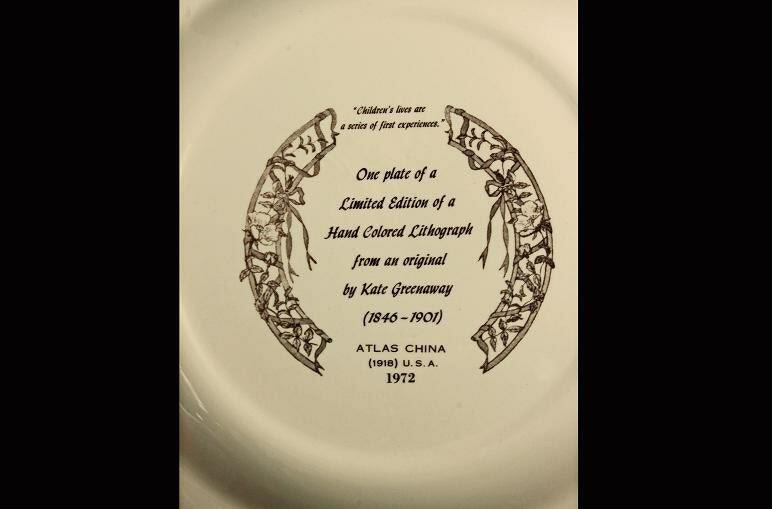 It is in its original box and look as if the plate was never used.